Suitable for the season cross-stitcher and the beginner this Family Crest Cross-Stitch Chart is guaranteed to give hours of fun for anyone, with a finished piece that can be treasured for years to come. 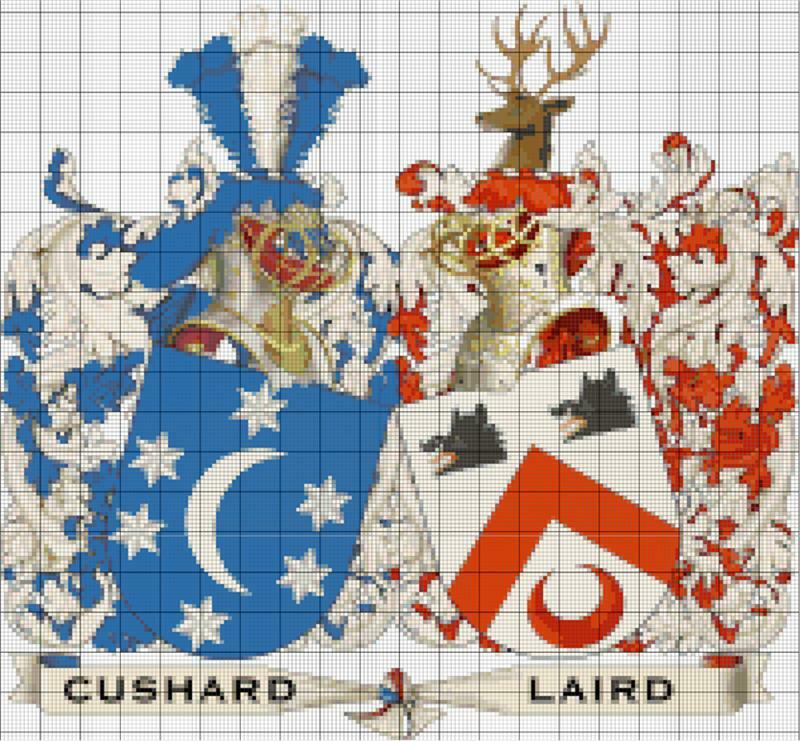 Now you can order this great 16 x 15 inch Family Crest Cross Stitch Chart, and have hours of fun creating your own authentic piece of Family History. 14 stitches per inch, and designed to be used with Anchor Threads. Your Family Crest is ready to use straight away, we also included a full list of threads required and lengths to ensure that you can purchase everything you need before you start. If you would like to use different threads or stitchs / inch please contact us with your requirements. 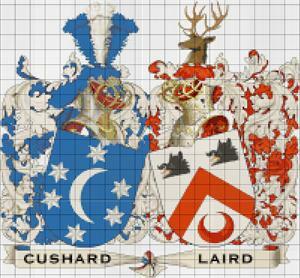 FREE Cross Stitich Instructions and Family Crest Lo-Res Emailed Graphic worth $16.99, with each order. Delivered in PDF format straight to your email inbox. Size: 16 x 15 chart (print out on seven pages). List of threads and lengths required. Can be opened and printed from any PC or MAC.